Don't let intimidation stop you from making this healthy and delicious fish for easy weeknight meals. Our guide teaches you exactly how to buy, prep, store and cook this tasty seafood. 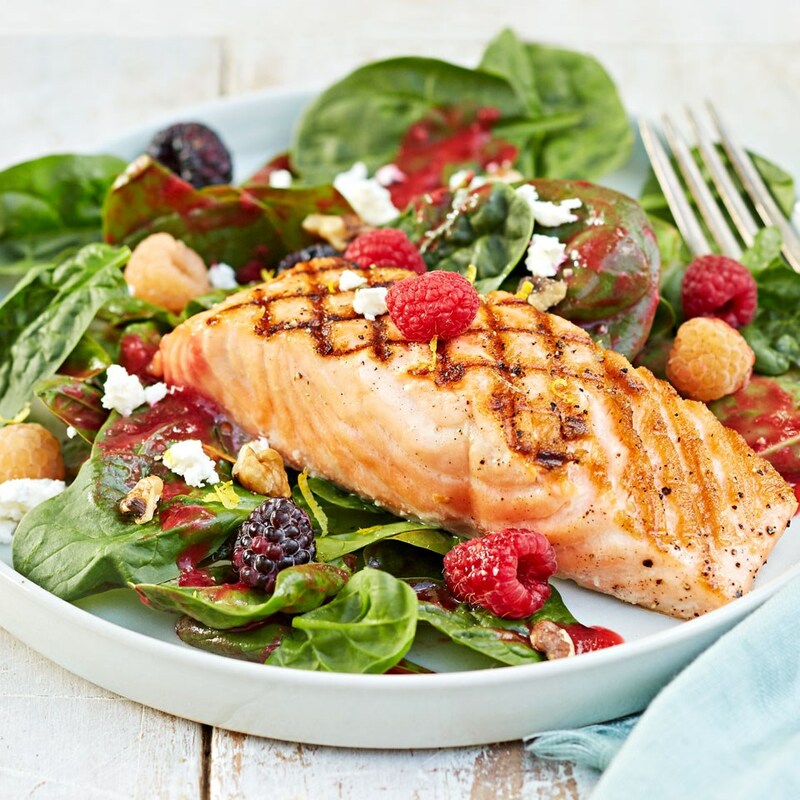 Salmon is often reserved for special occasions, like a nice meal at a restaurant or an intimate dinner party at home. 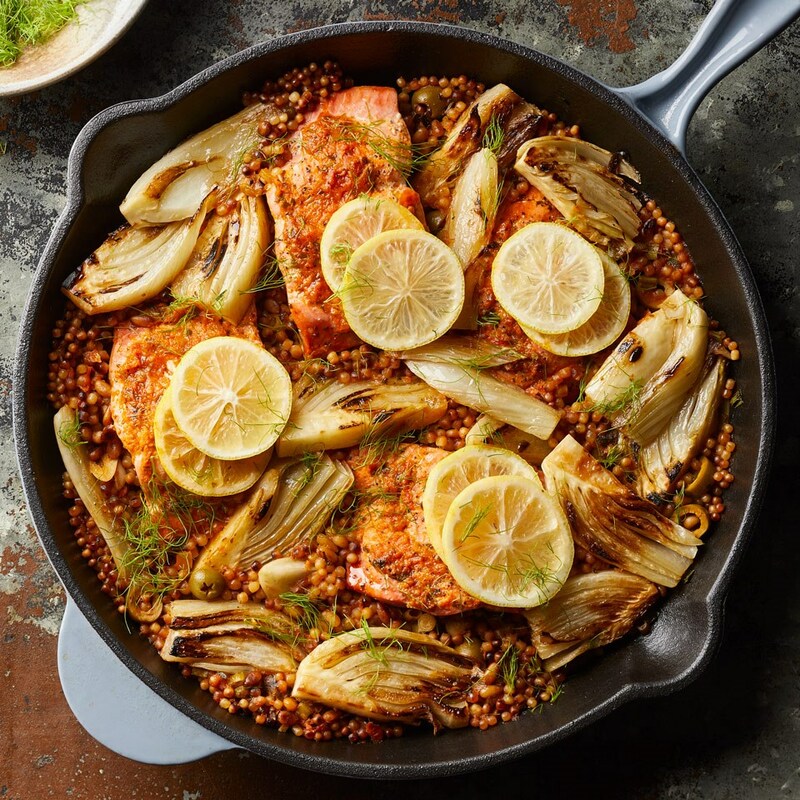 But the hearty fish is so healthy and so versatile that it should be added to your weekly rotation. Plus, with a few simple tips, it's easy to prepare at home lots of different ways. Cuts of salmon don't need much more preparation than a quick pat dry with a paper towel before cooking, but there is one optional step: removing the bones. Salmon fillets have thin, small bones that can be removed before or after cooking, or simply carefully avoided when eating. To remove before cooking, lay the fillet skin-side down. Run your hand back and forth along the top of the fish and you'll feel the thin, flexible bones. Use good tweezers or small pliers to remove the bones one by one and discard. When preparing to cook frozen salmon, let the fillet or steak defrost completely in the refrigerator before using. All cuts of salmon will cook up beautifully when roasted, but this method is especially good for fillets and sides. Just watch the cook time closely so that your fish doesn't overcook. Prepare the pan by coating it liberally with cooking spray or lining it with foil. Place the fillets or side on the pan and add just enough oil to coat the fish well on all sides. Place the fish skin-side down and season with salt and pepper. Flavor with other spices or brush the top with a sauce of your choice if desired. Roast in the preheated oven for about 5 minutes per 1/2 inch of thickness, or until the salmon is just cooked through and opaque. The fillet will easily flake apart with a fork. Do not overcook, since salmon fillets can easily become dry. Top with desired sauce or a squeeze of lemon. Salmon fillets and steaks are both great for grilling, and the added smokiness means no special sauces are required. Preheat the grill. Whether you're cooking over charcoal or gas, get the grill nice and hot before cooking. Prepare the salmon by brushing all sides with oil and seasoning with salt and pepper. Grill, starting with skin-side down for fillets, for about 5 minutes. If the fish is not pulling away from the grill, then it isn't ready to flip yet. Flip and cook another 5 minutes or so, depending on the thickness of your fish, how hot your grill is and how rare or well done you like your salmon. Rare salmon is still cool in the middle and bright orange, medium is warm in the middle, and well done is opaque and hot throughout. Top with sauce if desired. Sautéing is a more hands-on but still quick way to cook fillets. You'll have more control over the doneness, since you'll be standing over the pan and eyeing the fish throughout. Preheat a skillet over medium-high heat. Add enough butter or oil to coat the bottom of the pan. Add the fish, skin-side up, and cook until nicely browned, about 5 minutes. Flip and cook for about 3 more minutes, or until done to taste. Season with salt and pepper and top with sauce or a squeeze of lemon, if desired. 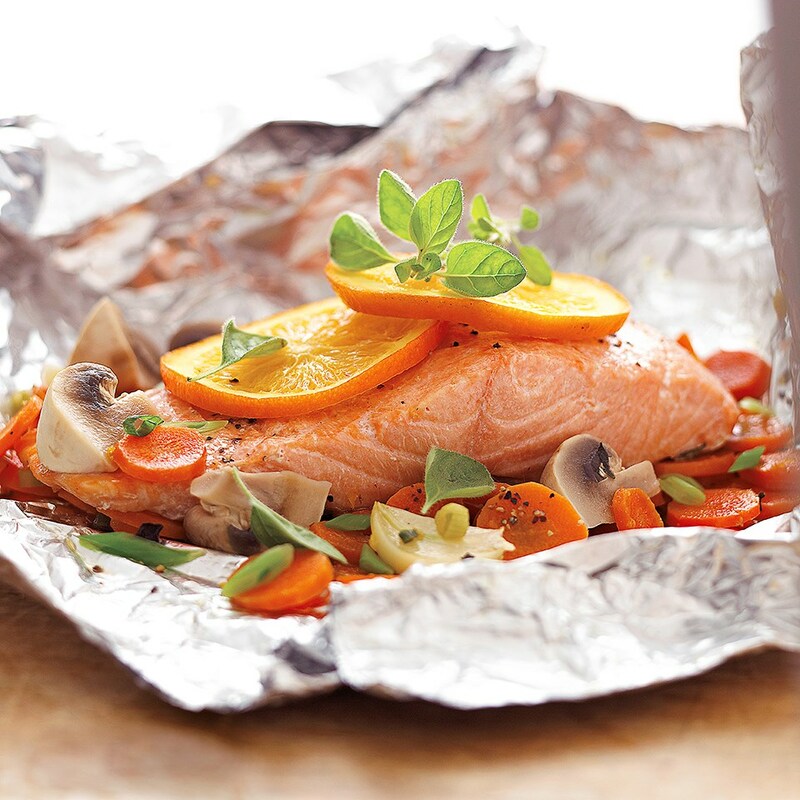 Plain steamed salmon can be a bit bland, but cooking the fish in packets with vegetables and aromatics, also known as "en papillote," is healthy and flavorful. Make the packets. Cut one long parchment or foil sheet per fillet. If using vegetables, thinly slice and layer them on top of one another with the longest-cooking veggies on the bottom (such as potatoes). Place the salmon fillet on top and season with salt and pepper. Add sliced citrus on top of the fillet and fresh or dried herbs if desired. Seal the packets by folding on all sides, leaving room for steam to build up inside. 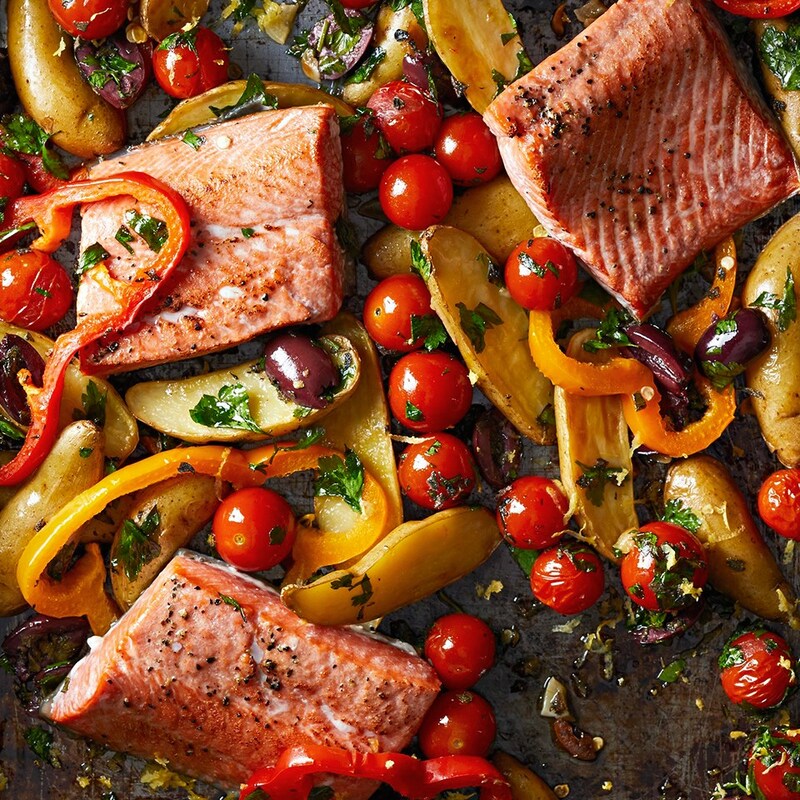 Bake for 10 to 20 minutes, depending on the vegetables used, the size of your fillets, and how well done you like your salmon. Unwrap the packets immediately to keep the salmon from overcooking. When buying fresh salmon, the options can vary based on the specific species and where it came from. Wild-caught salmon is typically from the North Atlantic or Pacific and is deeper in color, less fatty and more expensive. Different species are fished depending on the time of year, and common varieties include king and sockeye. Most fresh fish sold in the U.S. is flash frozen for transport before being sold. Farmed salmon is frequently faulted for its environmental impact, use of antibiotics and potential contaminants. When buying farm-raised fish, do so sparingly and do your research. When possible, opt for land farms or tank farms. Beyond species and origin, salmon is sold in a few different cuts, and the most common cut is the fillet. Portioned to serve one to two people, and with the skin often left on, a fillet can be cooked a variety of ways. Large fillets that aren't individually portioned are called sides, and are great for serving a crowd. Sides are best when roasted or broiled, since they are too large for a frying pan. 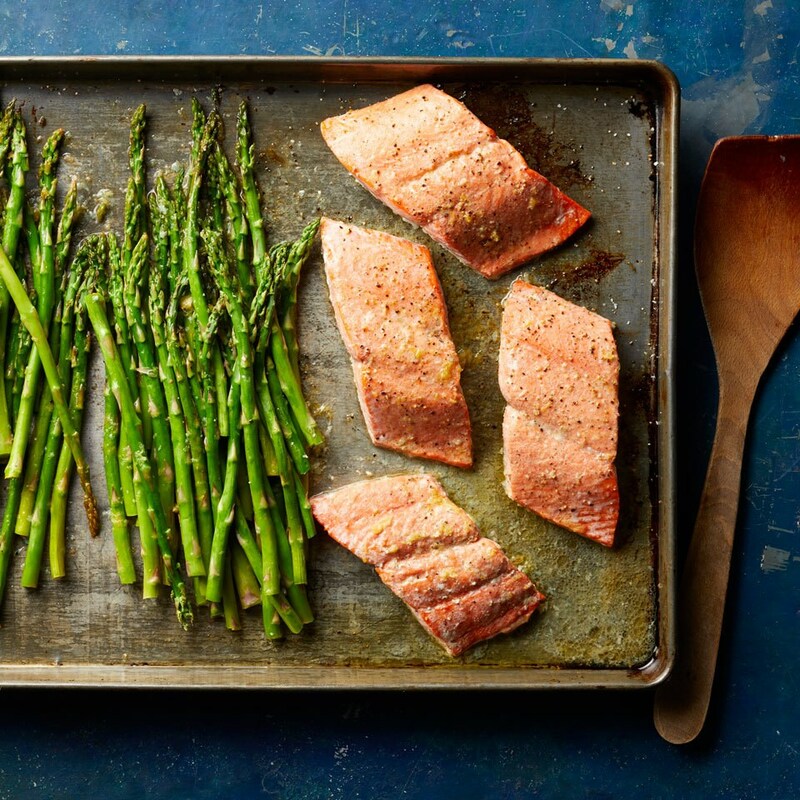 Salmon is also sold as steaks, a cross-cut that's a uniform thickness, making it especially good for grilling. Salmon is also sold frozen and canned, and can be an excellent affordable option. The same guidelines for buying fresh salmon apply to buying shelf-stable and frozen fish as well. Store fresh, uncooked salmon in the refrigerator for as little time as possible before cooking, with a maximum of two days. Frozen salmon will last in a well-insulated freezer for up to two months. Defrost in the refrigerator completely before cooking. 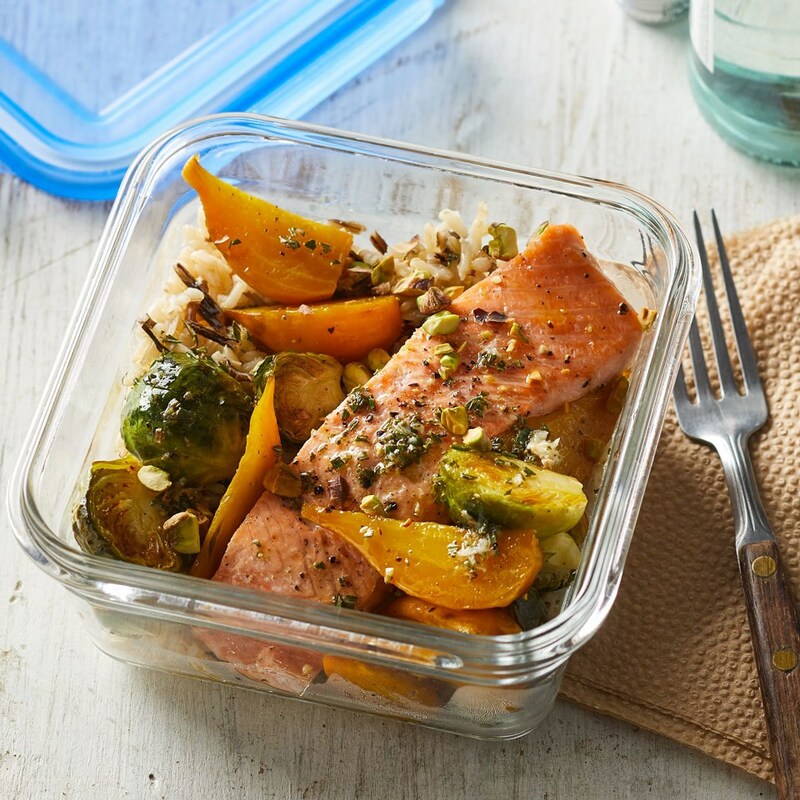 Cooked salmon stored in an airtight container will last in the refrigerator for a maximum of five days. 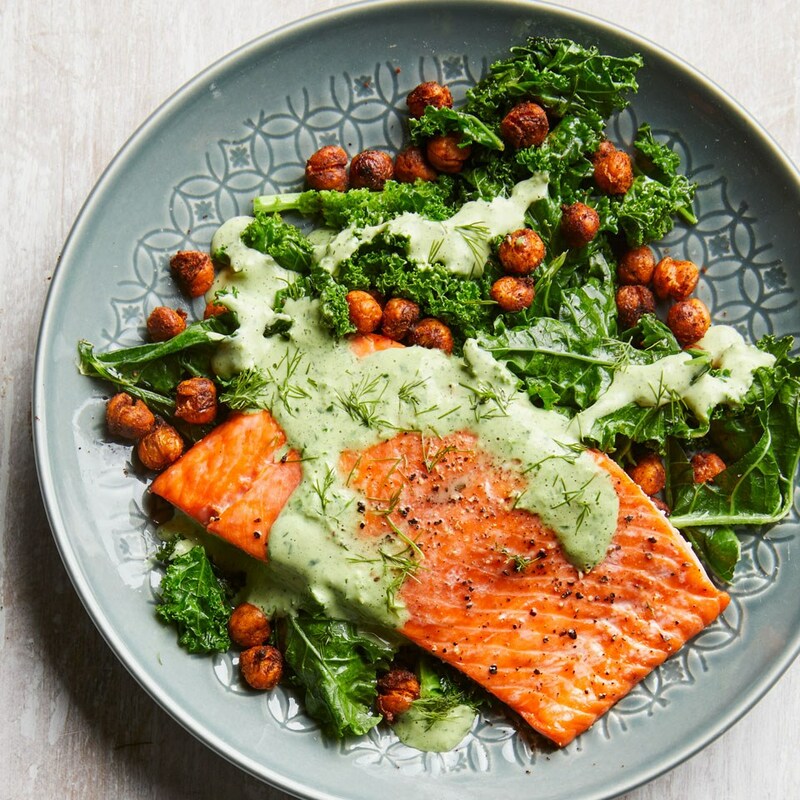 Salmon is a good source of protein and omega-3 fatty acids, while being low in saturated fat, making it good for heart health and blood pressure regulation. 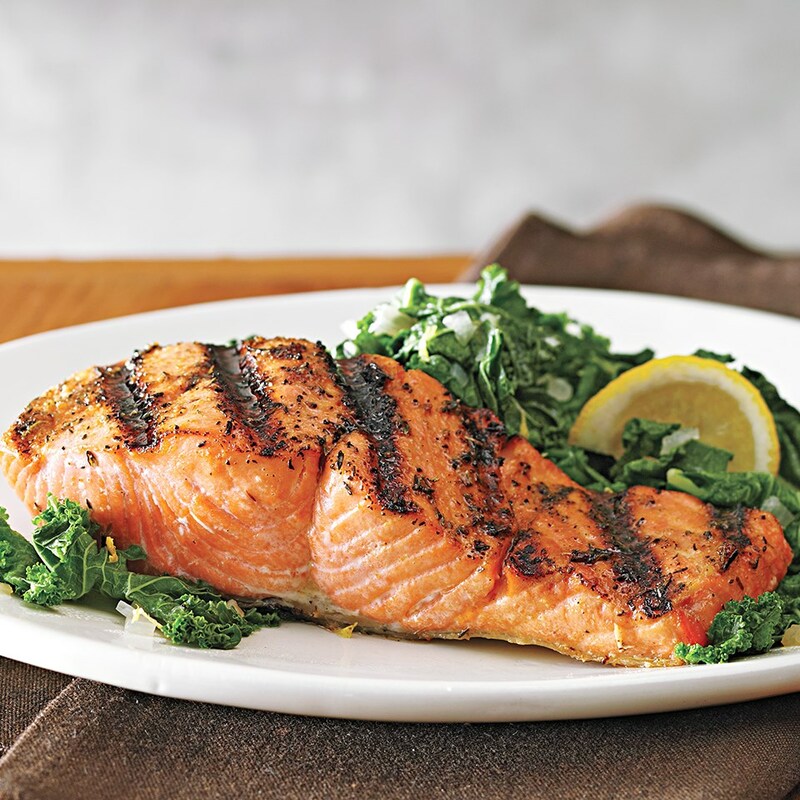 A 6-ounce sockeye fillet contains about 285 calories, 36 grams of protein, 14 grams of total fat, 2.5 grams of saturated fat and 110 milligrams of cholesterol. Exact measurements will vary depending on the cut of salmon.